Besan ke katali ki sabji is good option to make, When there is no green vegetable in your kitchen then . 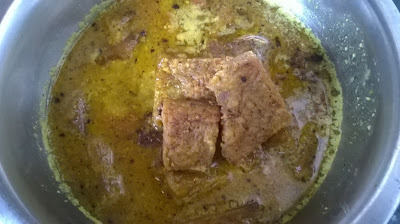 Besan ki sabji is just like Gatte ki sabji. Gatte ki sabji is very popular recipe of Rajasthan and this recipe is known as pitod ki sabji in Rajsthan. This is very famous in UP and Bihar. We can make in many different ways. Today I will share this dish of Besan with you. Hope you will like it. Preparation Time-15 min. Cooking time 30 min.